Ifremer has chosen ECA Group to develop an ultra-deep Autonomous Underwater Vehicle (AUV) reaching 6000 meters water depth. By choosing ECA Group through an international call for tender, Ifremer is establishing the CORAL ALliance (Cooperative Off-Shore Robotics ALliance), facilitating project development with selected industrial partners. ECA Group will be the prime partner in the CORAL Alliance (Cooperative Off-shore Robotics ALliance),created by Ifremer. The aim of the project? Promoting innovation and competitiveness in an integrated concept, linking ocean science to marine industry. The CORAL ALliance is funded by Ifremer, Provence-Alpes-Côte-d’Azur Region and the European Union (FEDER program). As major stakeholder, Ifremer will be driving the project with engineering and R&D efforts, technical and naval means for qualification of the new system, therefore fostering innovation and expertise on a regional, national and European level. 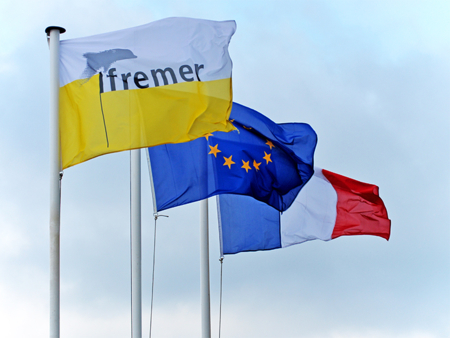 Ifremer will oversee the development of the new AUV vehicle and its associated equipment. Furthermore, Ifremer will develop the AUV control software system in order to meet current and future needs of scientific end users. The AUV will be able to accomplish wide coverage acoustic mapping as well as optical inspection by hovering close to the sea floor. “The system will deploy a full range of scientific sensors in modular packages, innovating in design optimization, autonomy, payload volume and navigation capabilities. The AUV will facilitate producing accurately georeferenced, wide area, high resolution and multi parameter representations of deep water marine environments” explains Jan Opderbecke, head of the Underwater Systems Unit, located at Ifremer facilities in Toulon. After a development period of 3 years, the AUV will accomplish its first dives in 2019. “The association of long endurance survey and low altitude hovering capabilities will have high potential in various fields of application. For future commercialization by ECA Group of this AUV branded A6K, the system specifications are particularly interesting for missions such as deep sea mining survey, oil / gas pipeline inspections, rescue missions and mineral resource exploration”, underlines Claude Cazaoulou, Director of Sales and Business Development from ECA Group Robotics Division in Toulon. “The new vehicle will be deployed from French and international oceanographic research vessels in missions involving other deep water intervention vehicles, starting with Ifremer’s Victor 6000 ROV and Nautile manned submersible” explains Jan Opderbecke from Ifremer. 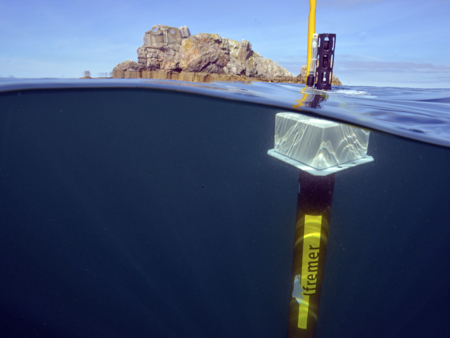 An innovative optical communication device currently under development at Ifremer as well as hovering capabilities of the new AUV will enable real time data exchange with other underwater vehicles. The implementation of combined exploration and intervention operations will enhance the innovation potential offered by this new system. The compact and innovative design will be compatible with launch and recovery modes already developed by ECA Group during ESPADON project in 2016. A containerized transport solution will simplify system mobilization, reducing operational expenditures. The design will as well benefit from ECA Group experience gathered during AUV ALISTAR 3000 developments for hovering capabilities, where high performance pipeline inspections were being deployed. The embedded controller developed by Ifremer will be tightly coupled with the vehicle’s sensor payloads and provide online re-planning and event driven autonomous mission behaviors. Onboard processing algorithms developed in cooperation with the scientific end–users will allow optimizing long duration missions on high level, meeting well defined scientific goals. The ability to perform targeted multi-parameter (physical and chemical properties, acoustic, optic, laser scanning imagery) data acquisition will constitute a significant performance improvement over existing autonomous platforms and will allow the scientific end user to better characterize vast areas of the seafloor.